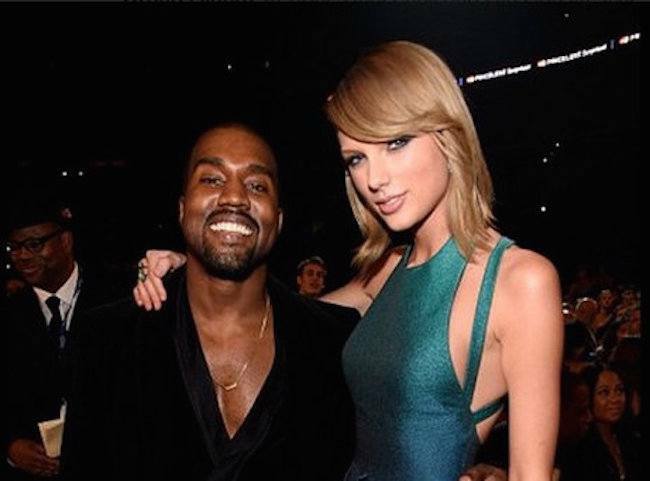 Kanye West and Taylor Swift are not only friends now but they are planning to make music together. Who can forget that infamous 2009 MTV VMAs incident when Kanye West interrupted Taylor Swift’s acceptance speech. Well it seems the two have officially made peace starting from the Grammy Awards earlier this month when they posed for a photo together. On Tuesday Kanye West and Taylor Swift were also spotted dining at The Spotted Pig in New York City. Ever since then there have been speculations on the nature of their meeting. Sources say they are plotting some new music together. “Taylor has always want to do a song with Kanye West because she is a fan of his music and thinks that he is a musical genius,” a source said. “Even though they mingled at the Grammys they did ended that feud a long time ago it just so happens that at the Grammys was when they first cross path in a long time,” the source added. Now this is hilarious. If there was ever a case of two people deserving each other this is it. Of course the mindless Swifties will still think just what the Swift PR team tells them to. I’m going to have to spend a while figuring out which one is slumming by being with the other – that may take a while, a LONG while.